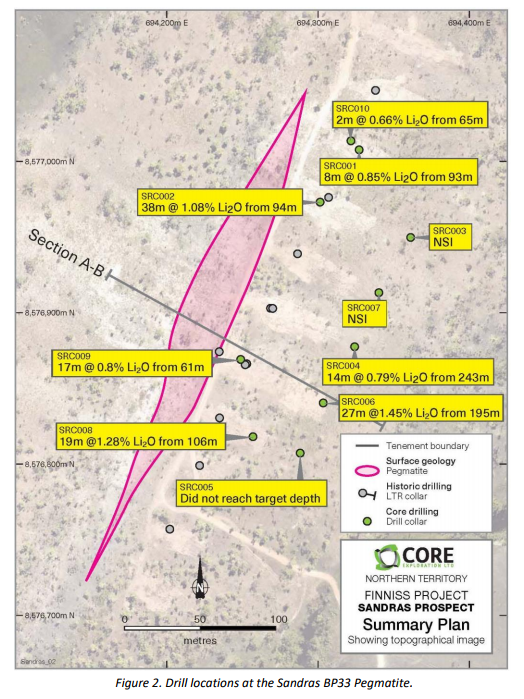 Core Exploration (ASX:CXO) has received new high-grade lithium assays from recent RC drilling at its Sandras Prospect in the Northern Territory. The high-grade intersections confirm the presence of other pegmatites beyond Grants and BP33, comprising significant spodumene grades and thickness. 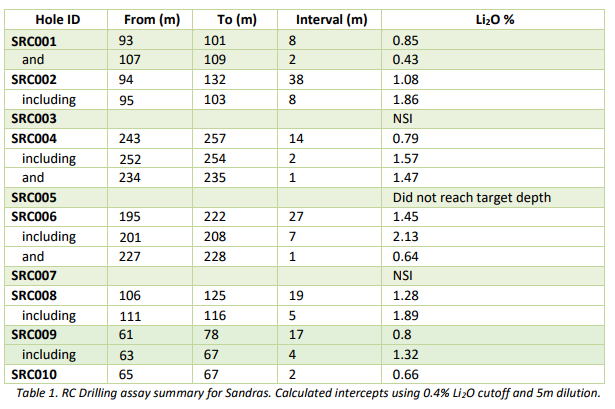 The very high-grade intervals of 7 metres at 2.13% lithium are in line with those at Grants and BP33. 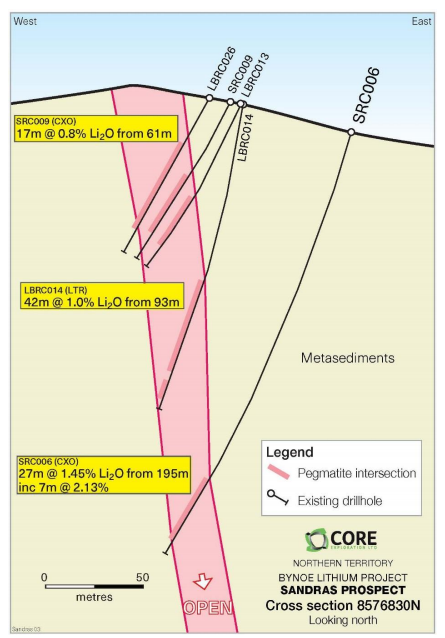 The results also confirm that spodumene grades increase with depth at the site, and support the concept of a southerly plunge to the pegmatite body. 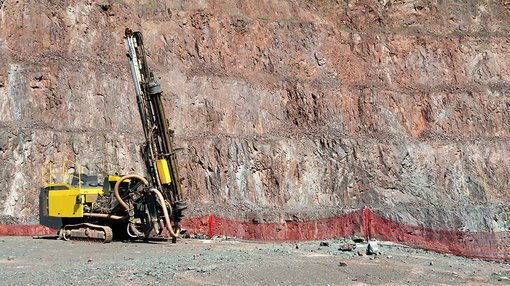 RC drill hole SRC005 terminated at 161 metres, before reaching its target depth. In the new year, CXO will test the prospect’s southerly plunge model via a diamond drill core tail. The company will also assess the recently received drill results and undertake a preliminary evaluation of spodumene mineralisation at Sandras during 2018. The company is focused on continued diamond drilling and newly deployed RC drilling at BP33 through to year’s end, with RC and diamond rigs to commence Resource Upgrade drilling at the Grants prospect in January 2018.